VENTURA — The year 2014 marks Ventura Harbor and the Ventura Port District’s 50th anniversary — and the harbor is ringing in the occasion with a year of events, promotions and activities for visitors to enjoy. “We are working with 35 shops and restaurants on different promotions,” said Jennifer Talt-Lundin, marketing manager with Ventura Harbor Village. The specials will be offered in the winter. Island Packers cruises, galleries, restaurants and stores in the village are expected to participate in the celebration. Staff members are currently working with village tenants to offer specific items at prices rolled back to 1963. “We are trying to be creative,” she said. Upcoming events taking place in the harbor include the 37th annual Parade of Lights Dec. 20-21. Participants will decorate their vessels to the theme of “Seaside Tinsel.” The event is held in conjunction with the Winter Wonderland and Holiday Marketplace event at Ventura Harbor Village. “We will hopefully see more gold and tinsel to commemorate the 50-year celebration,” said Talt-Lundin. Originally planned in April 1958, Ventura Harbor is a vision of local citizens that was realized, Talt-Lundin said. A total of 208 acres of privately owned land where the harbor now sits was mostly agricultural at the time. Construction on the harbor began on June 16, 1963. After more land acquisition, the harbor now covers about 152 acres of land area and 122 acres of water area. 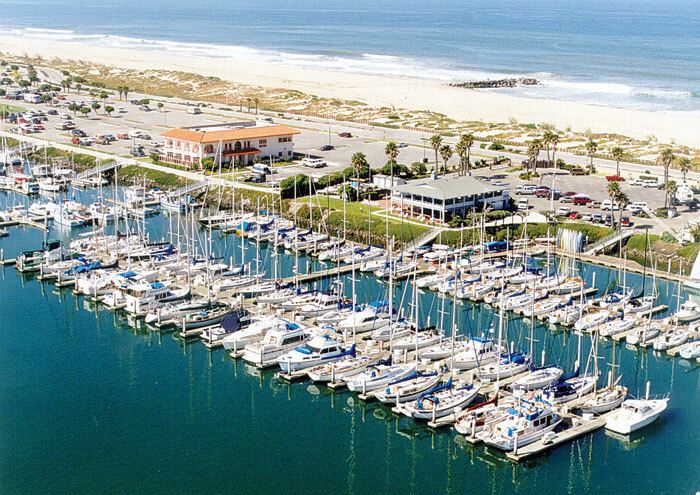 A fuel dock, boatyards, a marine chandlery and 441 slips make up the recreational harbor, which is home to Ventura Yacht Club. Boaters will also find 700 slips at Ventura Isle Marina and Ventura West Marina. Commercial fishing boat slips are also included at the harbor. Staying true to its mission to serve chiefly as a recreational harbor, Ventura is home to several kayak, stand-up paddleboard and daysail rental companies. With its proximity to the Channel Islands, Ventura Harbor is an ideal spot to launch a cruise or to stop and provision before cruising to the islands. For non-boat owners wishing to explore the Channel Islands, Island Packers cruises carry passengers to the islands aboard four vessels: Islander, built in 2001; Island Adventure, built in 2003; and the monohull 64-foot vessel, Vanguard. The newest addition is the 64-foot catamaran, Island Explorer. Island Packers, along with several other tenants, will help celebrate the harbor’s anniversary by offering special promotions throughout the year. For more information about the upcoming events at Ventura Harbor and Ventura Harbor Village, visit venturaharbor.com.